The Great War Symphony is an epic new work from British composer, Patrick Hawes, written to commemorate the First World War. Using text compiled from diaries, letters and other first-hand accounts, the symphony has been composed as part of the national Remember WWI project. The symphony, for choir and orchestra, will be in four movements with each movement depicting a year of the war, to be premiered in its entirety in 2018. We want as many people as possible to become involved in the evolution of this project, having the opportunity to participate in the genesis of The Great War Symphony and eventually the full premiere and commemorative events in 2018. The first part of this process is the release of a free mp3 download of an excerpt from the work - Christian Soldiers and free sheet music for performance. Patrick has created versions of Christian Soldiers for Orchestra, SATB choir & Organ and another for Brass Band, all available to download for free using the links opposite. If you would like to stay in touch with the progress of The Great War Symphony, please visit www.thegreatwarsymphony.com and sign up to our newsletter. And don't forget, if you do perform Christian Soldiers or would like/intend to, please let us know! 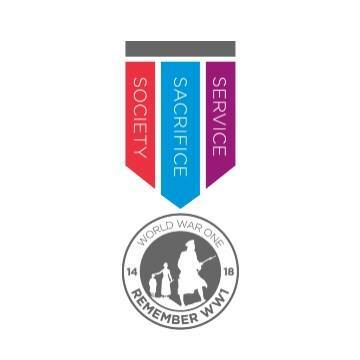 Remember WW1 is a not-for profit campaign to inspire and support active commemoration through volunteer activity throughout the UK during the centenary of the WW1. Their aim is to inspire and encourage individuals, families, schools, communities and companies to access knowledge about WW1 and reflect on the sacrifices made, service undertaken and impact on society at large. They encourage people to consider what service means today and to collectively give (sacrifice) their time or knowledge in their communities in order to have a positive impact on society today. Pre-recorded material from choirs, instrumentalists, soloist, bands and orchestras associated with Remember WW1 will be interspersed with live perforamance at the Great War Symphony premiere. 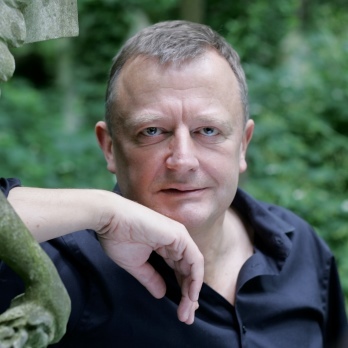 Patrick Hawes is an English composer who has made his mark as a torchbearer of the English musical tradition of Vaughan Williams and Delius. His debut album, Blue in Blue, was made CD of the Week on Classic FM; consequently, he became the Classic FM Composer in Residence from 2006-7. In 2010, he composed the Highgrove Suite for HRH The Prince of Wales which was premiered at Highgrove House by the Philharmonia. His album, Angel, was released in March 2014 and reached Number One in the classical charts. Patrick has written several new works to mark the centenary of the outbreak of the First World War including Eventide: In Memoriam Edith Cavell, I Know The Music and The Angel of Mons.